Kanpur is the very important town of India Kanpur. Moreover Kanpur is the biggest city of Uttar Pradesh. Kanpur owes its reputation for being the main industrial and commercial center of India. Kanpur has got major leather industries. It houses cotton, flour, and oil mills, Sugar refineries. Many major educational institutions like IIT are situated in Kanpur. Kanpur has got religious importance too. It is situated on the banks of holy Ganga. It has Tapeshwaridevi Temple, Prayagnarain Temple, Vankhadeshwar Temple, and Anandeshwar Temple for the religious people to visit Kanpur. It is historically related to the first independence movement of 1857. There are beautiful parks and natural settings where you can relax. 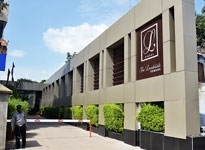 For all kinds of visitors Kanpur hotels offer best in hospitality. You will find all the classes of hotels in Kanpur. You can find just right type of accommodation in Kanpur for your family, friends and for yourself. If you want luxury hotels and world-class standards, you can opt for the five star hotels. They offer you all the facilities as well furnished AC rooms, attached bathrooms with hot and cold-water facility, TV, Telephone and every other comfort and luxury you need to make your stay as a celebrated event. If you are a business traveler, you can find all the facilities required for the official work like travel assistance, car rental, internet facility, conference rooms, secretarial assistance when required. You can take your pick from star category hotels, luxury hotels or even budget hotel. You can stay at any Kanpur hotel suiting your needs and budget, but one thing is assured you will get maximum value of money and a memorable hospitality at any Kanpur hotel.